“Digital intimacy ruins the appetite for the real thing. So, when kids are gaming or even when spouses are gaming, they lose their appetite for genuine intimacy. Kids lose their appetite for getting their intimacy needs, their hunger for significance and attachment, with the family, and it erodes the relationship between them and their parents.” - Gordon Neufeld (born 1947), a developmental psychologist and author. These are dated comments and consequences. Let us look at some consequences. A girl walking on the footpath of a bridge falls into the river. People watching this think it is a suicide attempt. Local fishermen rescue the girl. The reason for her fall turns out to be her total concentration on playing games on her smartphone. A student of an elite engineering college takes a short-cut to the beach walking on the railway track. The train approaches from behind and blows the horn. But our hero has his earphones on linked to the smartphone on which a game is in progress. The driver could not control the train on time. Another maimed body on the track. In yet another case, there is replication of the scene on the rail track. This time it is a girl crossing a road away from the designated pedestrian crossing. The net result is the same as on the rail track. These scenarios are replicated many times over across India. Addiction to game-playing on smartphones is the culprit in all such cases. Yet, the problem is not fully grasped; leave alone tackled. Now, National Institute of Mental Health & Neuro Sciences (NIMHANS), Bengaluru, and Rome-based World Health Organisation (WHO) have published new insights on the subject as excerpted below. With more and more youngsters getting hooked on video games, both online and offline, WHO is set to classify gaming disorder as a mental health condition. In the beta draft of its forth-coming 11th International Classification of Diseases, WHO has included gaming disorder in its list of mental health conditions. 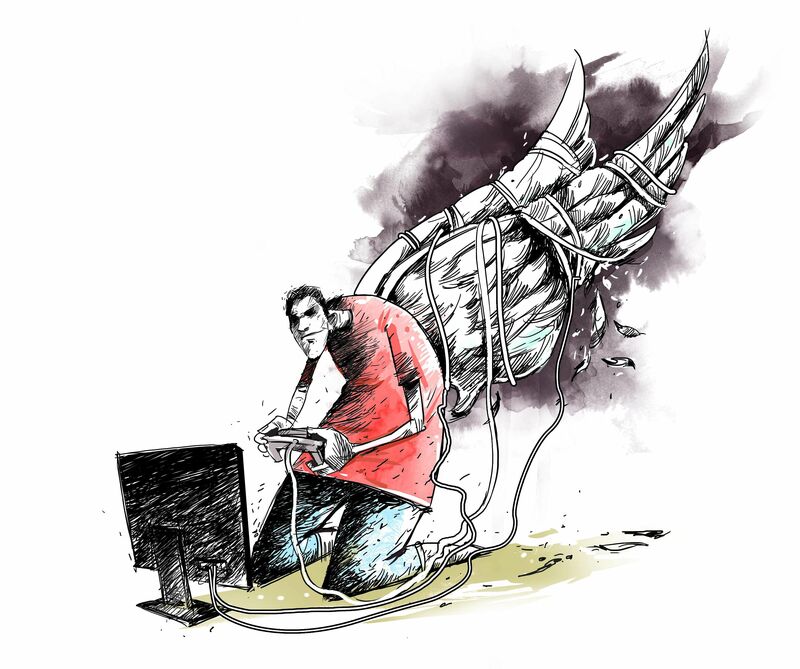 Mental health experts and psychiatrists said this is the need of the hour as nearly 7% of population studied for gaming and internet addiction exhibited symptoms of depression and anxiety, and somatisation, including behavioural changes and sleep disturbances. Dr Sharma points out that Internet addiction also has an effect on social performance and lifestyle: ‘Addictive use of Internet has an adverse effect in the form of irregular dietary habits and physical problems. It is also associated with insomnia, sleep apnea and nightmares. Among adults, it leads one to disregard crucial daily responsibilities such as work, academic, family, or social obligations’. The diagnosis is there for all to read and feel. But, who will bell the cat? What is the medicine and who should prescribe it? At the moment there seems to be a lot of escapism on the scene with many in denial, including the victims and their parents.